Comment: I would like to get an estimate for repairing a washing machine. I have a stackable unit that needs the drum replaced. I purchased the drum, I just need it installed. 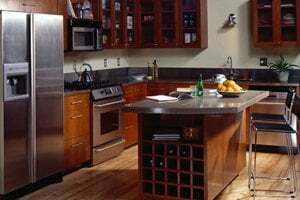 Comment: I would like to get an estimate for a Appliances (All Types) - Repair or Service project Dishwasher and Refrigerator. Comment: Washer spin cycle is out of balance, and thus won't complete the spin cycle. Crystal Lake Appliance Repair & Installation Services are rated 4.71 out of 5 based on 732 reviews of 11 pros. Not Looking for Appliances Contractors in Crystal Lake, IL?